Take your Stone Tower experience to the next level. Each Tower Cru Wine Club release features seasonal wines from our Wild Boar Cellars & Stone Tower labels. Choose a club based on your preferences. Get a taste of everything we offer with our most popular Tower Cru Club! The Mixed Club features a varied selection of reds and whites, and will occasionally feature rosé and sparkling wines. Upcoming Mixed Club Releases will take place on July 18-21 & November 21-24. For the bold - the Reds Only Club offers exactly that. From Pinot Noir to Cabernet Sauvignon, enjoy an assortment of red wines. Upcoming Reds Only Releases will take place on June 13-16 & October 3-6. Experience the lighter side with selections of our white, rosé and sparkling wines. Upcoming White & Light Releases will take place on August 8-11 & December 12-15. When you sign up for a Tower Cru Wine Club, you’re committing to purchase three (3) club releases of four (4) bottles of Stone Tower Winery/Wild Boar Cellars wine annually, in addition to the 4 bottle purchase required at time of sign-up. Your membership will automatically renew, but can be cancelled without penalty anytime after the first year of membership. Stone Tower will automatically process three (3) Wine Club orders annually using the credit card on your membership account. Your card will be charged for the retail value of the wines, minus your club discount, plus any applicable taxes and shipping fees. The week before each club release, we will email you the details of your upcoming order, including the wine selection and price. The selection most often contains new releases or wines unique to the club and will vary with each release. View the complete Wine Club Agreement. Choose to pick up your wines and enjoy special events and wine club tastings! Wine Club orders become available at the release events and can be picked up anytime there- after during our Tasting Room hours. If your wines are not picked up within 60 days, the order will be shipped to your shipping address on file (S&H fees apply). Club wine orders to be picked up at the winery cannot be modified. Skip the trip and have your Club orders shipped to your home or office. All wine orders must be signed for by an adult 21+ upon delivery. You can expect to receive the shipment within a week of each release and will be provided with tracking information. Shipping members can customize the wines included in the club orders. Ready to join? Have further questions? 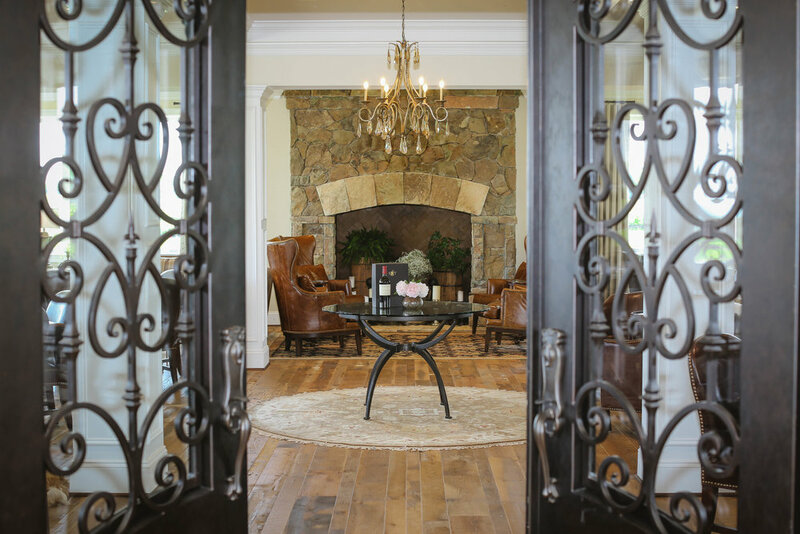 Contact our Wine Club Manager, Angela, at towercru@stonetowerwinery.com or by calling our office at 703-777-2797.